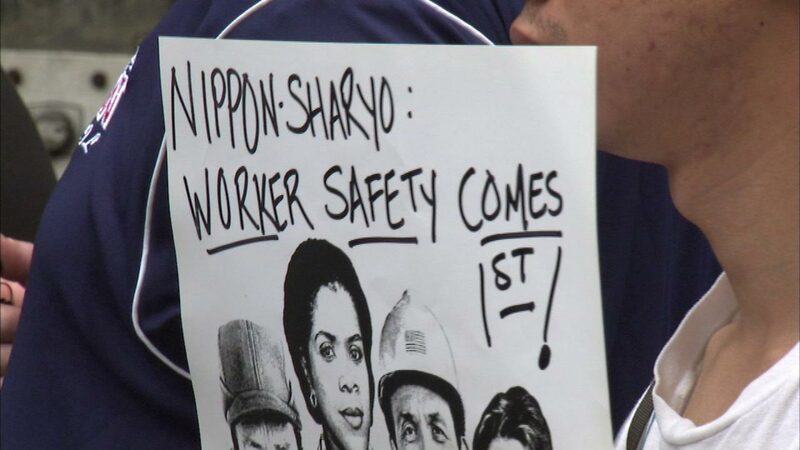 ROCHELLE, Ill. (WLS) -- A terminated worker at the suburban factory that makes Metra cars says she was fired for speaking out against safety violations at the plant. Jennifer Svenkerud spoke publicly Friday for the first time since her firing from Nippon Sharyo on June 5. She was joined by members of the Jobs to Move America Coalition. The group says the company's Rochelle plant was cited by federal safety regulators before Svenkerud spoke out. The group wants Metra and the CTA - which is considering the rail car maker for hundreds of its own new cars - to demand better safety practices. Nippon Sharyo has not responded for comment.